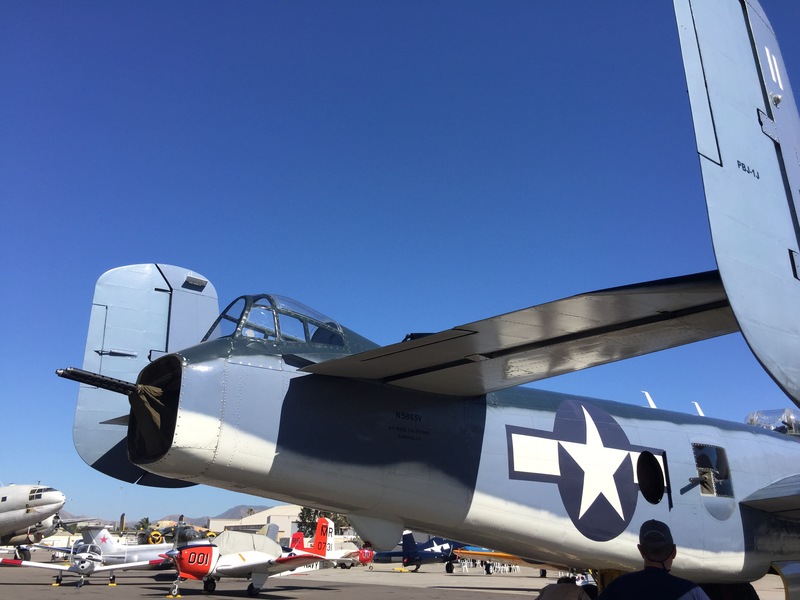 If you’ve been here any time at all, you’ve seen our PBJ, including its first flight after 23 years of restoration. 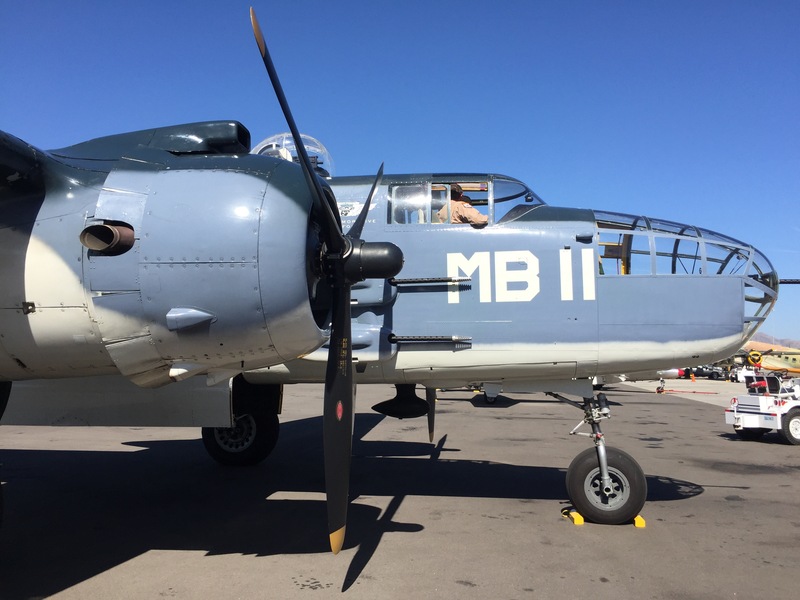 If you’re new, it looks like a B-25 bomber, but it’s not quite the same. And by “our” I mean the Commemorative Air Force Southern California Wing (CAF SoCal), where I am on staff (my volunteer second job) as Finance Officer. 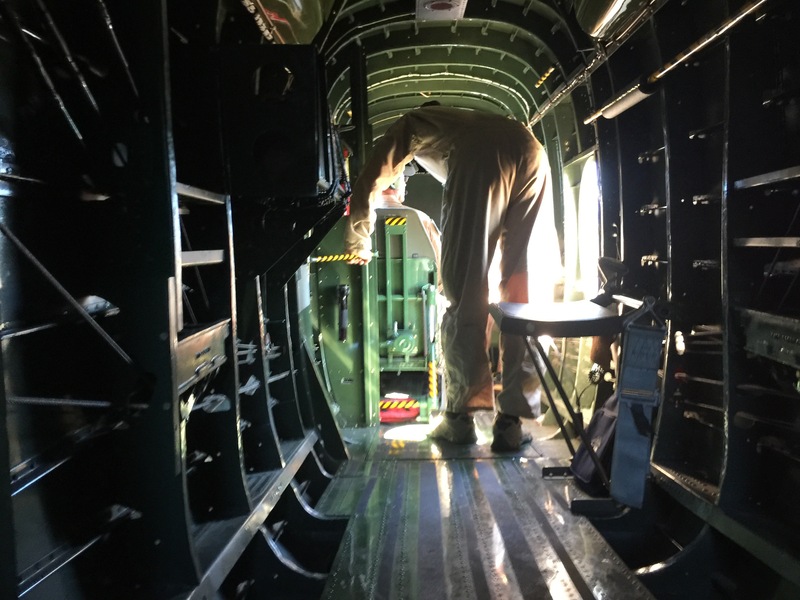 Every good WWII bomber needs a tail-gunner position, as well as a machine gun on either side. 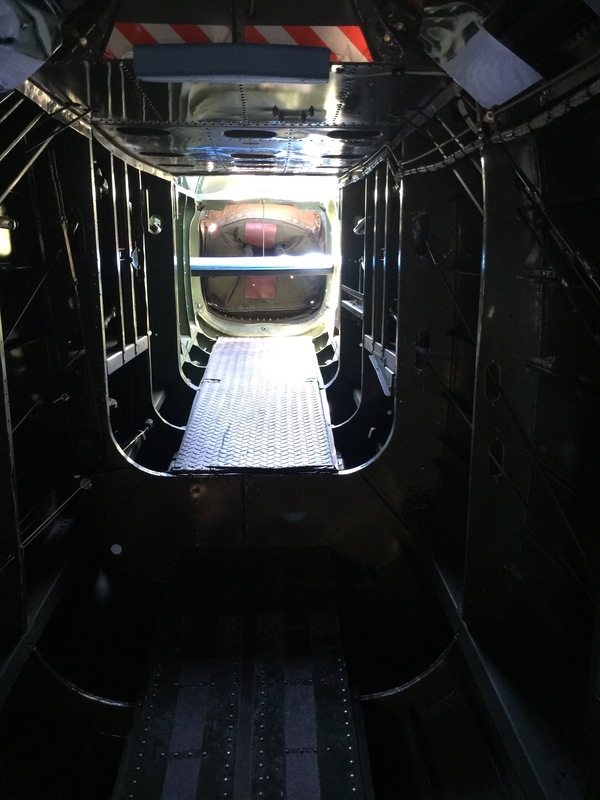 From this view you can see the starboard side machine gun just aft of the wing, the tail gunner’s position between the tails, and a big, round, open hole just aft of the starboard machine gun. Keep those in mind. Today we had a flight with a handful of paying customers (FYI, for a very reasonable price I can get you hooked up as well…) and at the last minute (literally) a seat opened up. We hate to have empty seats if there are CAF members around who want a ride, so one of the PBJ crew stuck their head in the office to see who was there. Since I hadn’t flown in the PBJ yet, I was told to take a seat. The view here is aft. 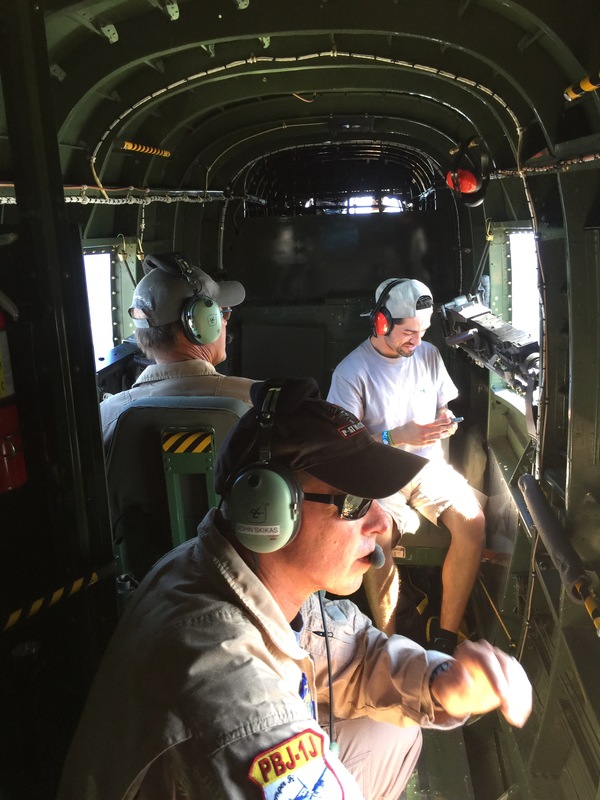 That starboard machine gun is in my face on the left and we’re looking back toward the tail gunner’s position, all buckled in for takeoff. Once in the air we could move around a bit, very carefully. 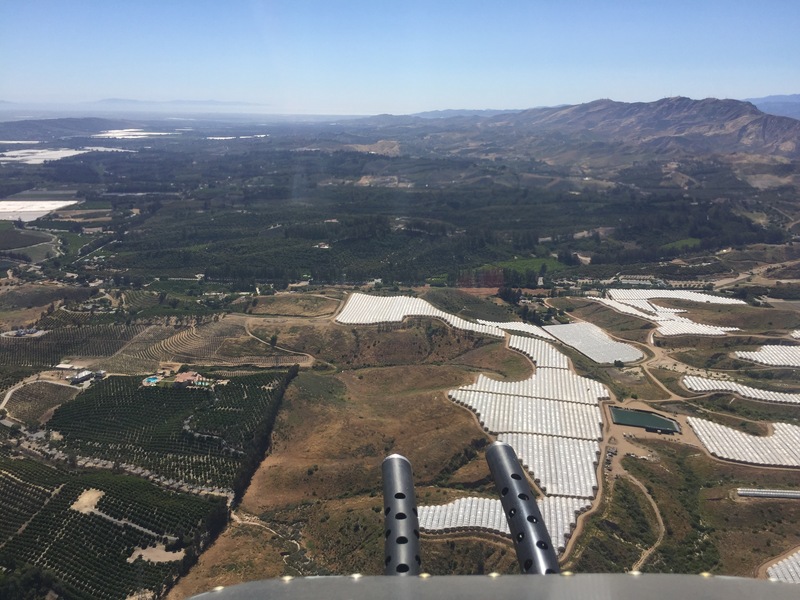 Here’s the view out of that port side machine gun bay, about 4,500′ above Ojai. 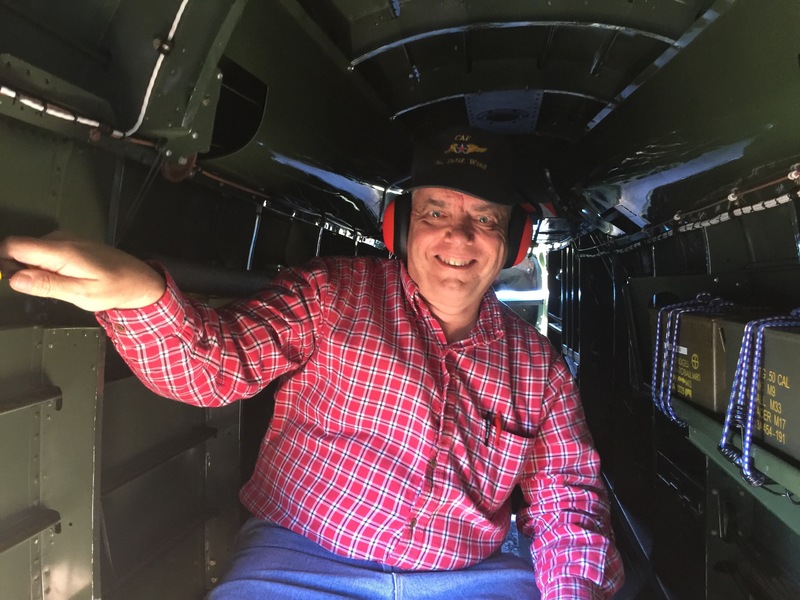 I got my turn to go back to the tail gunner’s position. It’s freakin’ incredible, a view that you have never seen before to have the ground slipping past from underneath you. 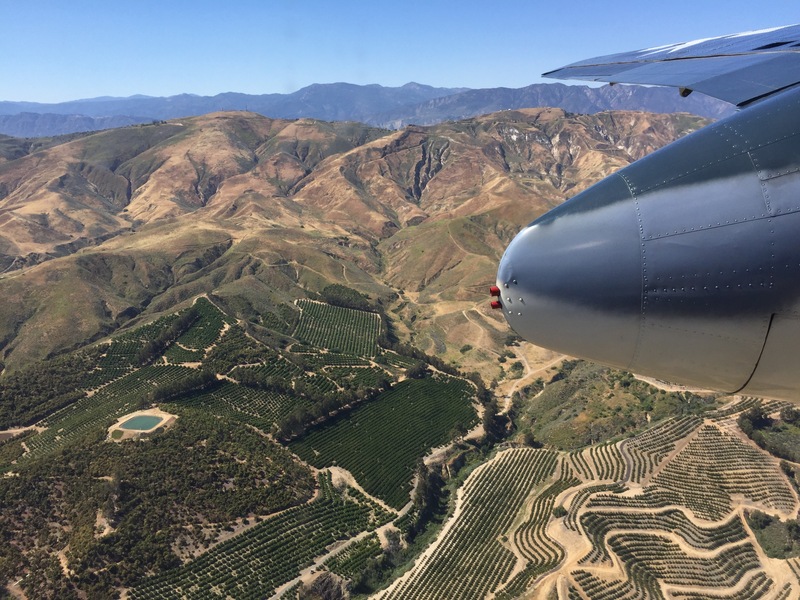 From the Ojai Valley we crossed over Simi Valley. Here we’re still looking straight back toward Ventura and the ocean way off in the distance, with the 118/23 transition on the left. 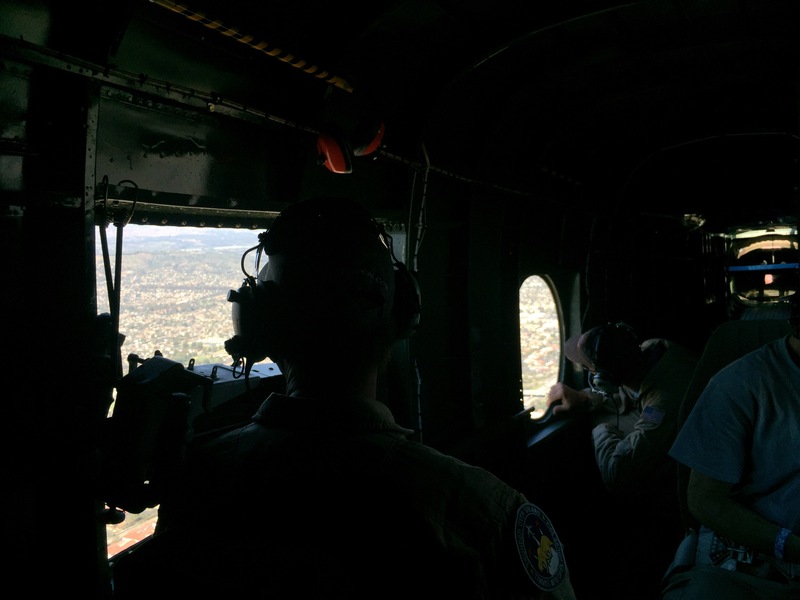 The view forward from the tail gunner’s position. It’s not terribly claustrophobic at all, but there’s not a ton of maneuvering room either. 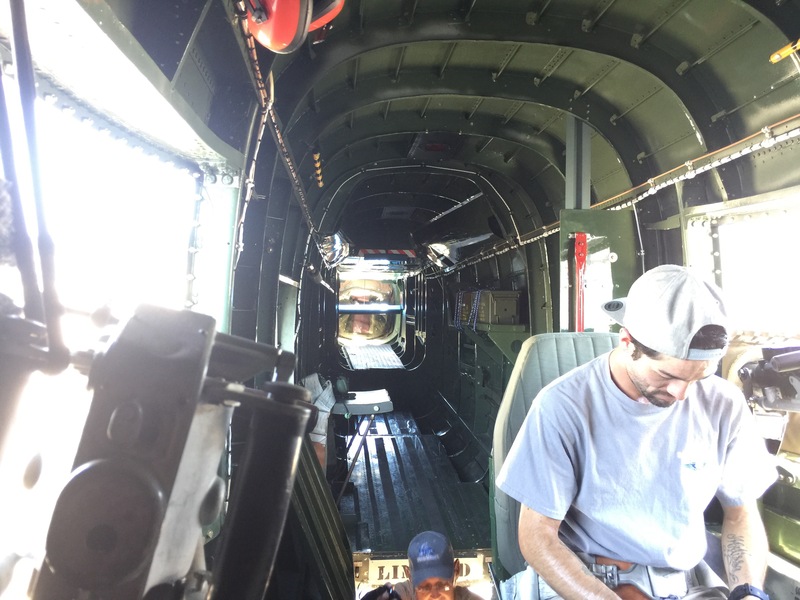 Moving up from the tail gunner’s spot, that big open port is on my right. Everyone who thinks of aircraft as being sealed aluminum and titanium tubes with no openings to the outside air – you should fly this! 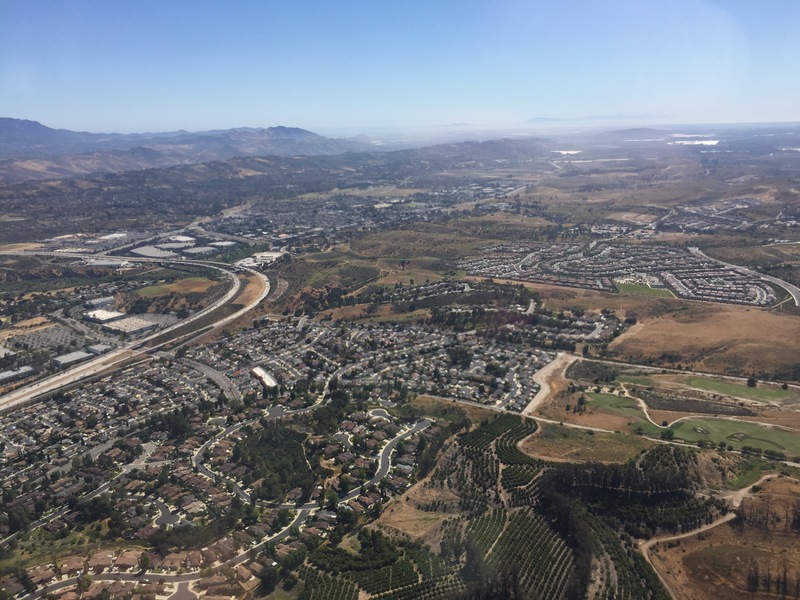 Back in my aft-facing seat, we were on final approach when the tower asked us to slow down because of a Cessna in front of us. We were already as slow as we could get without doing that whole “no-speed-equals-no-lift-falling-out-of-the-sky” thing, so instead we did a couple of big 360° steep turns. Definitely an “E” Ticket!! Someone was having a good time. 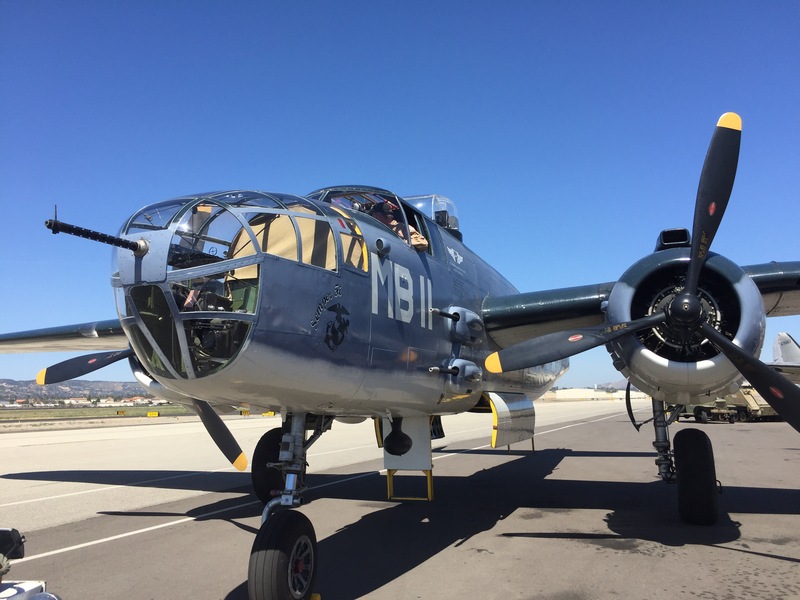 “Semper Fi” is the one and only true PBJ still flying. 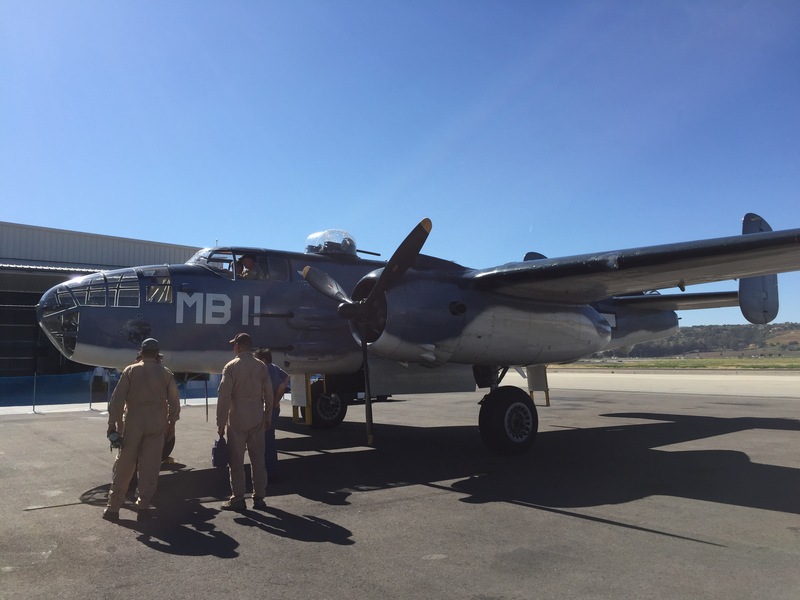 There are a couple dozen airworthy B-25s and one or two are advertised as PBJs, but they’re not. 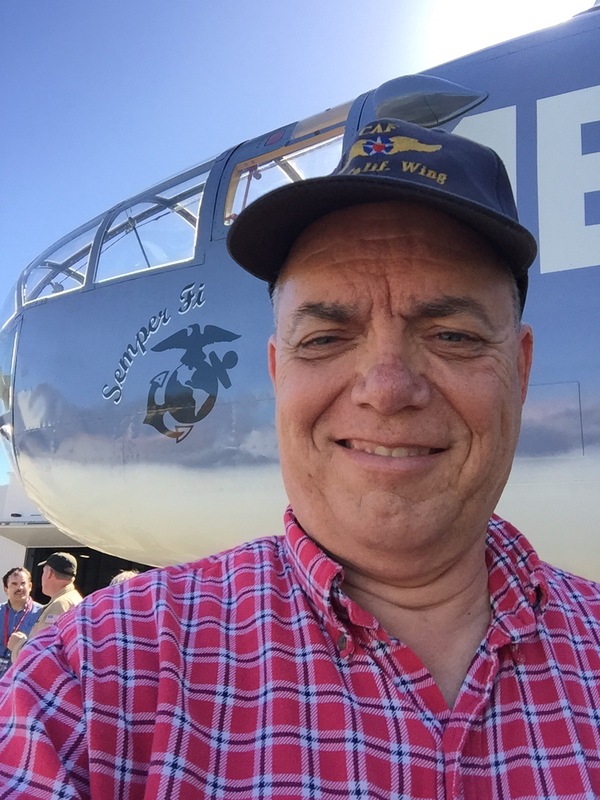 I look forward to flying “Semper Fi” again and again in the future.